Art Style: Plane Wall Stickers Functions: Decorative Wall Stickers Hang In/Stick On: Bedrooms,Cafes,Hotels,Kids Room,Living Rooms Material: Self-adhesive Plastic 1. The DIY wall clock is 3D effect. 2. Waterproof EVA foam material which is eco friendly. 3. It is self-adhesive, water & steam resistant, Non toxic and safety for the children. 4. Easy to install. 5. 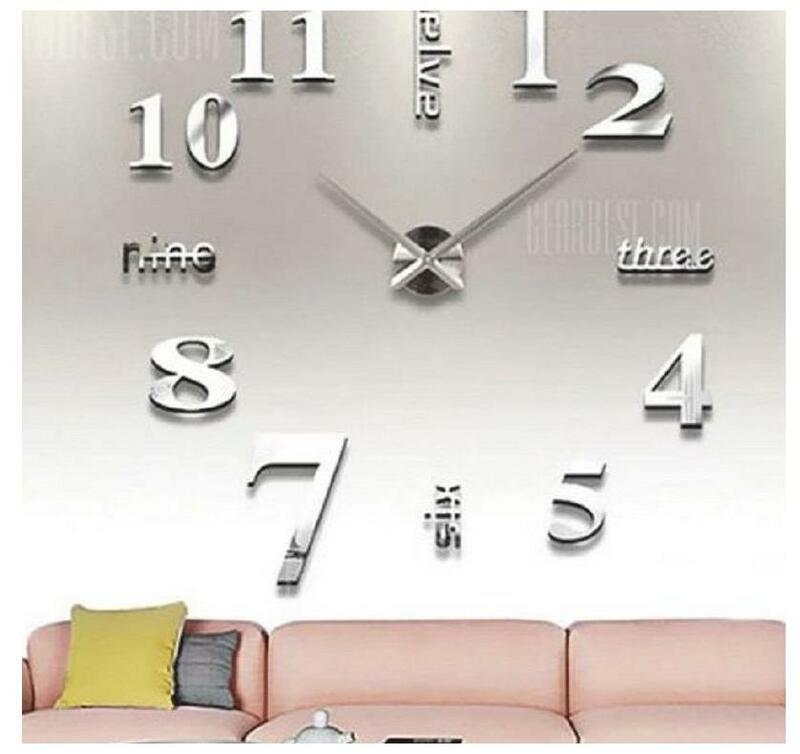 This clock will enhance your wall d cor to a great extent. Various color options available to suit wall color and home decor. 6. Silent sweeping movement, mute movement, Silent DIY Wall Clock gives you a quiet night. 7. The decals can be applied on all smooth surfaces, such as Walls, Doors, Windows, Closets, Plastic, Metal, Tiles, and Glass etc. 8. Suitable for any surface and color of the wall. Warm Tips: Clock hands may touch each other during installation because of transportation jerks during shipments but can be managed to align for free movement. Do not touch the sticky part of the time markers or magnet which can reduce its strength.